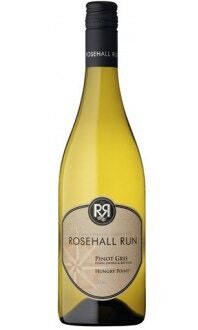 The nose welcomes with fresh citrus fruit perfume and the palate responds with vibrant lemon-lime, yellow pear, peach and a touch of minerality with citrusy fruit and a touch of rounded honey flavour on the finish. This well-balanced Riesling is very food friendly but also the perfect choice for just sipping. Dishes that pair nicely with this Riesling are any seafood or white meat dishes with a citrusy but uncomplicated sauce such as Lemon Caper Halibut, Rare Seared Tuna with Lemon sea salt or Chicken Piccata. "There's an expressive nose here-pretty floral notes, aromas of peach and a whiff of citrus. Tasty fruit is the signature of this just off-dry, juicy light-medium-bodied gem-lemon-lime, crunchy green apple and ripe pear ride a backbone of vibrant acidity. Lively and refreshing on the finish, this is a great wine to serve with soft cheese or with pork schnitzel."